EvaGreen qPCR System-ROX Free | GeneDireX, Inc. The EvaGreen qPCR System-ROX Free provides a convenient, simple, rapid, high sensitivity, specificity, stability, and robust set-up for performing quantitative real-time analysis of DNA samples. EvaGreen qPCR System-ROX Free with the proprietary concentration with the of HotStart DNA Polymerase, dNTPs, MgCl2, fluorescent dye (detection), and proprietary buffer components, the EvaGreen qPCR System-ROX Free provides a convenient and reliable set-up for performing quantitative real-time analysis of DNA samples. Designed specifically for this niche of application, the components of EvaGreen qPCR System-ROX Free promise top performance with respect to sensitivity, signal-to-noise ratio and elimination of primer dimers. 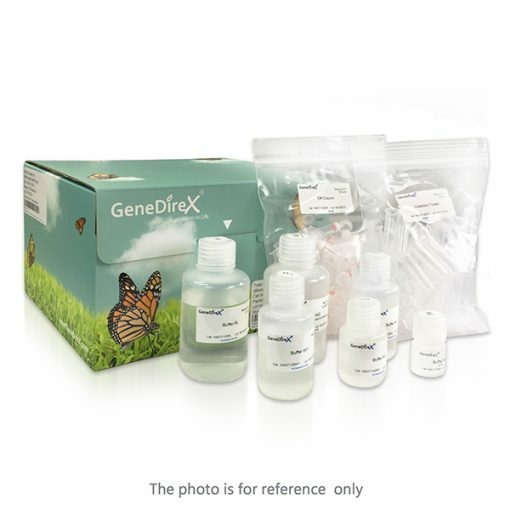 Furthermore, GeneDirex’s most efficient HotStart DNA Polymerase included in this SuperMix allows for ultra fast PCR, conferring a significant reduction to the overall qPCR quantification and detection time, thus streamlining the experiment through cost and labor saving. In light of the fact that the qPCR instruments can vary from user to user, GeneDireX offers the EvaGreen qPCR System-ROX Free in a range of formulations, each of which has been carefully optimized to confer the best performance according to the make and model of a qPCR machine. The EvaGreen qPCR System-ROX Free is supplied at the 2X concentration to allow approximately 50% of the final reaction volume to be used for the addition of primer, template solutions, and RNase– free H2O. The Reagent is provided with the sufficient amplification reactions of 10 or 20 μl each.